It doesn’t take long for new technologies to gain traction in the flagship smartphone world. The latest examples of the phenomenon are dual cameras and wireless charging. Just a couple of years back, the features weren’t common on high end devices. Now, in order for a smartphone to qualify as a flagship, it must have both. Incremental innovations also follow a similar pace. 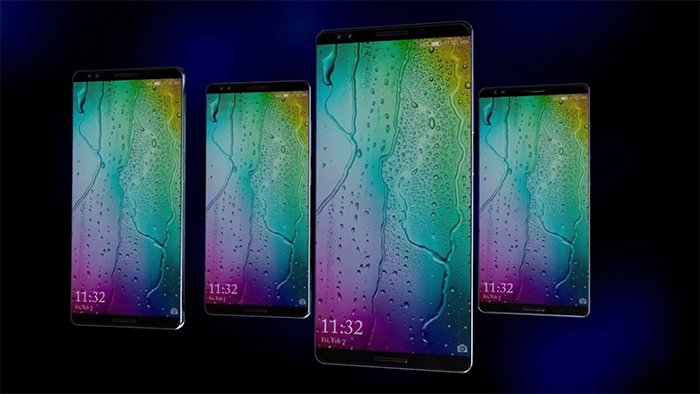 LCDs transformed into OLEDs, which then improved into edge to edge displays. Now, it looks like the dual camera setup is next. Take a look below to find out more. The world continues to improve technologically at an impressive pace, especially as nations continue accumulating wealth. Nowhere is this trend more obvious than in China. While the Eastern nation is yet to come to par with the Western world completely, it’s moving fast. Today, we’ve got similar news as a big rumor surfaces related to the Huawei P11, expected to launch in 2018. Photographic computation for the company is under the spotlight, ever since it chose to partner up with German company Leica. The partnership bore results for the Huawei P10, launched at the Mobile World Congress at the start of 2017. Now, it looks like next year’s Huawei P11 will be the real beneficiary of the deal. Evan Blass is back today and the famed tipster has information for Huawei’s next smartphone. Blass claims to post alleged advertisements for the P10 series, designed by one of the company’s creative agencies. There are four ads in total, each describing one feature of the upcoming device’s rear camera sensor. Out of these, the most interesting is the first one, which shows details about ‘Pro Triple Lens Leica Rear Cameras’. This will be a 40MP setup and feature 5x optical zoom. The front camera for the P10 will house a 24MP camera sensor, also developed with Leica. These new sensors will capture ‘100%’ more light. They will also utilize the Kirin 970’s Neural Processing Unit, allowing the sensors to better account for various environmental elements. It’s big news, one that will certainly set a new direction in the smartphone world if true and implemented properly. Thoughts? Let us know what you think in the comment section below and stay tuned. We’ll keep you updated on the latest.